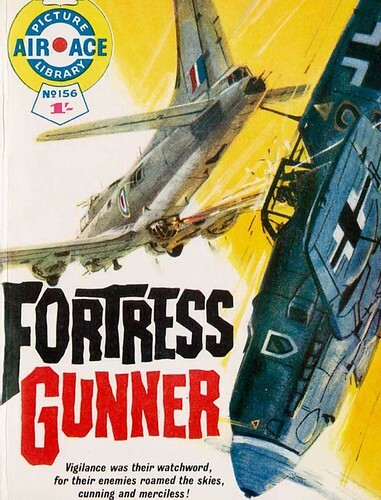 All the artwork this week comes from the British war comics War , Battle and Air Ace which ran in the UK from 1958 to 1984. 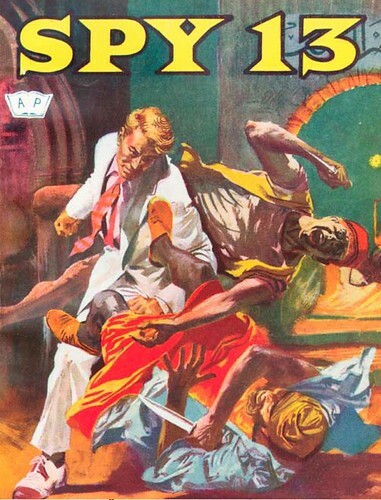 To put things in context, by the mid-50’s, British comics were undergoing a period of vast expansion with numerous publishers flooding the newsstands with mostly weekly titles of all shapes and descriptions. While I admit I don’t have any research to back this up, it’s very much my belief that in this period, say 1955-1975, Britain was the biggest comic-producing country in the world... and the company variously known as Amalgamated Press, Fleetway and IPC was its powerhouse. We were printing so many comics that there were simply not enough artists in the country to fill the demand for artwork so, from the mid-50’s, agencies from Italy, Spain, Belgium and Argentina began supplying art. The talent pool was immense and I know of at least 75 Argentinian, 150 Italian and 350 Spanish artists that plyed their trade in the UK. 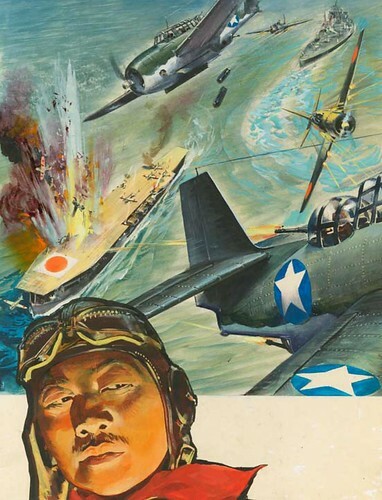 War, Battle and Air Ace were 3 titles published in the digest-sized Picture Library format, which also included such legendary (and now highly collected) comics as Thriller and Super Detective. Typically, a Picture Library comic featured one long black and white 64-page strip behind a full-colour painted cover. Amongst the giants of world comics that Fleetway brought in to draw these comics were Hugo Pratt, Alberto Breccia, Jose Ortiz, Fedinando Tacconi, Dino Bataglia, Luis Bermejo, Victor DeLaFuente, Gino D’Antonio and Arturo Del Castillo – and let's face it, it doesn’t get much better than that! For covers the company initially used British talent before bringing in the Italian D’Ami studio around 1958 which is what this week's blog is concentrating on. Amongst their top artists were Giorgio DeGaspari, Pino Dell’Orco (below), Allesandro Biffignandi and Nino Caroselli and we’ll also be featuring the astonishing Spanish painter Jordi Penalva. Most of the first 100 issues of War Picture Library sported covers by Giorgio DeGaspari (examples at top and below) who was already a legend in Italy by the time he started work for the UK market. Throughout the 50’s he seems to have worked primarily in illustration with the odd movie poster thrown in for good measure. 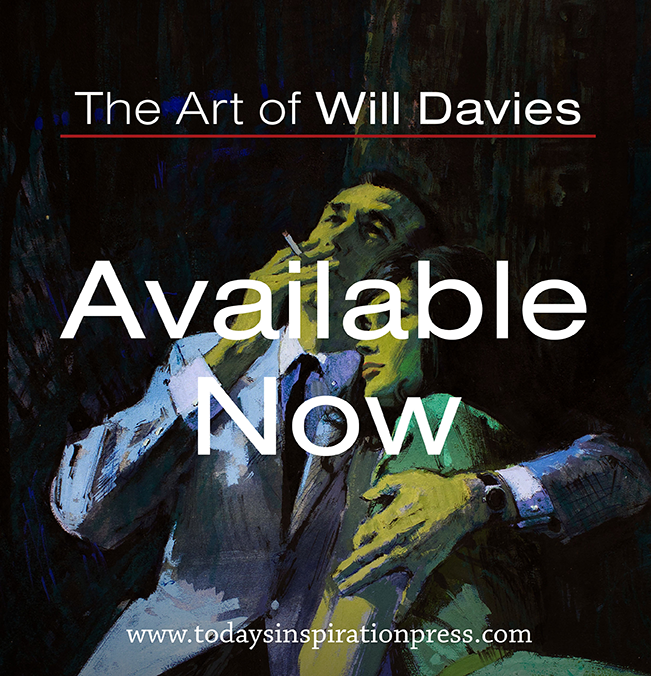 As the paintings reproduced here show he was a highly accomplished artist with a great knack for mixing dynamism with extreme realism – in a way similar to, say, James Bama. 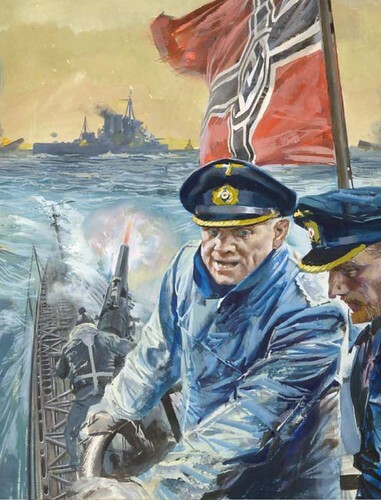 DeGaspari’s originals could vary from relatively small (the U-boat cover to War #475, for instance, is little bigger than a magazine like Heavy Metal) to quite large -- but this is never apparent from the printed image. Stylistically he was probably the most painterly of the Italians mixing quite gestural, seemingly loose brush strokes (like John Gannam), occasionally vibrant colours and even glazes to great effect. He had the knack, like all great illustrators, of knowing how to paint for reproduction and when they were reduced his covers possitively shone. 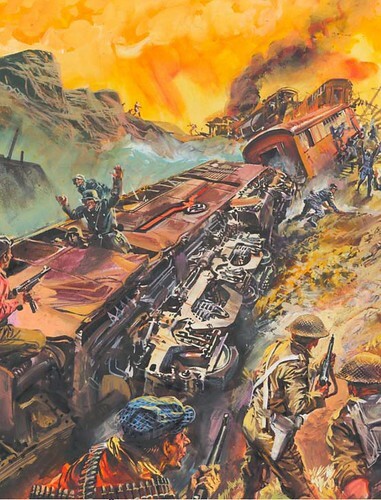 For the great train wreck cover to War #45 he employed a startling palette of yellows oranges and browns and the bafflingly elaborate mangled undercarriage is deftly illustrated by some surprisingly loose daubs of paint. He manages the neat trick of detailed realism with a looseness that prevents it from becoming sterile and lifeless. Between 1958 and 1962 DeGaspari painted around 150 stunning Picture Library covers before moving on to more mainstream illustration work – including Readers Digest Illustrated Books- and he currently resides in Venice. All this week's images are mostly taken from the original art and can be found in my latest book, "The Art Of War" published by Prion books in the UK. An earlier volume "Aarrgghh It’s War" came out last year and each contain over 1000 of the best war comic covers. It is unlikely that any copies will come over to Canada or the U.S., so this is probably your best chance to see these illustrations. * This week's posts are by David Roach, British comics artist of Judge Dredd, author, comics historian, and long-time TI subscriber. This week's images are © IPC Media. Hi! We talked about you at www.afnews.info.